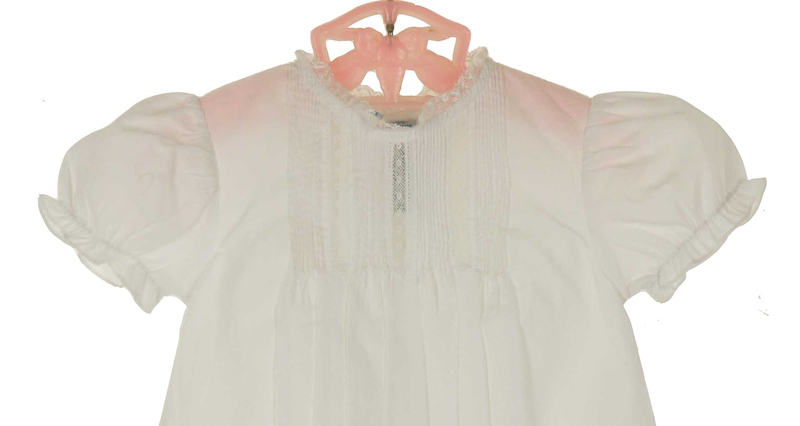 Made by Feltman Brothers, this darling little white baby girl's bubble features rows of tiny pintucks and insertion lace on the bodice. 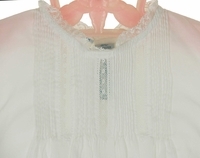 The round neckline is trimmed with soft white lace. 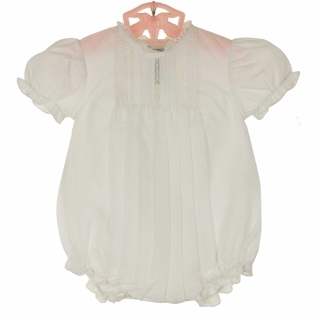 The short puffed sleeves and leg openings are finished with elasticized ruffles to ensure the best fit. 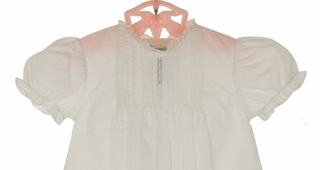 The back, which also features rows of little tucks, closes with two small buttons. What a sweet christening or portrait bubble for your baby girl!